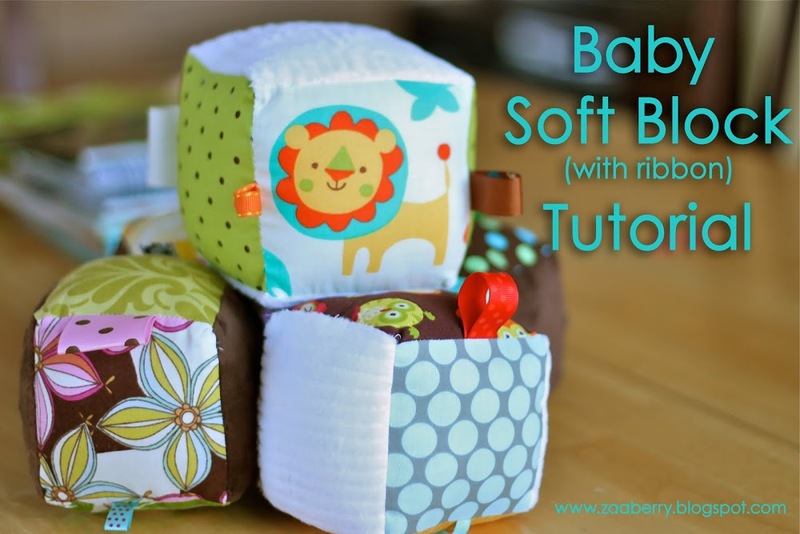 Sensory toys are all the rage and with one of these tutorials it’s easy to whip up something sweet and tactile for the little hands in your life. You can use a variety of ribbons, textured fabrics like terry, chenille, and minky, or crinkle material to make each project a fun experience. 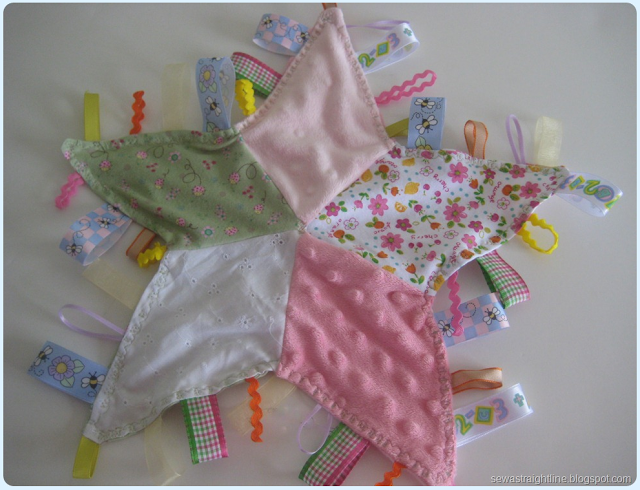 Each picture is a live link to where you can find the pattern/tutorial. Free Blocks Tutorial Using longer and shorter pieces can make rectangles or triangles could easily be modified. 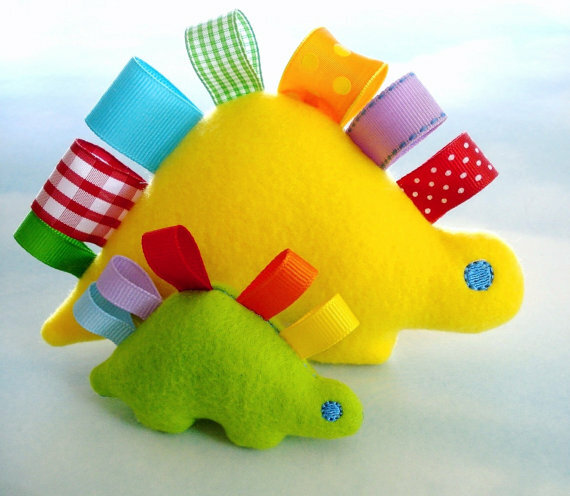 If you have an embroidery machine this cute dino pattern is available on Etsy. 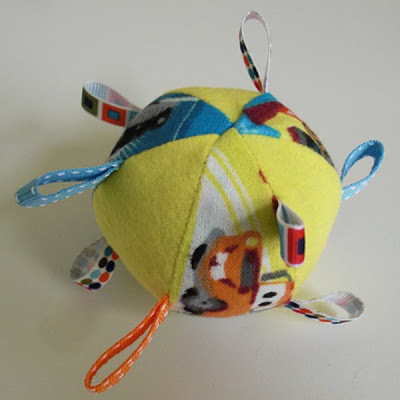 Another plushy pattern available on Crafty. Who doesn’t love a swimming friend? 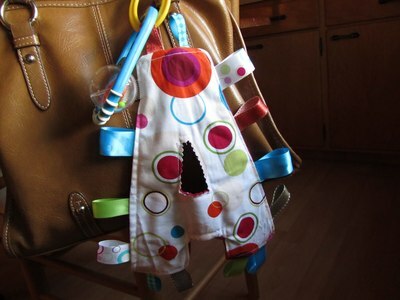 For a personalized tag toy you can sew up this alphabet inspired option. Ribbon Ball. Mixed with the blocks you’ll have a complete set for building and throwing. How about an animal shaped plushy? 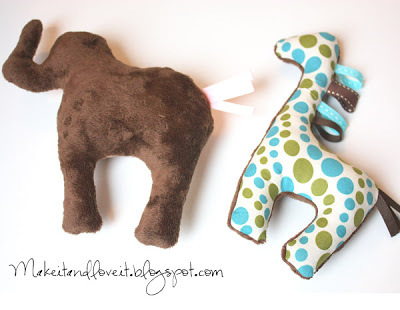 Check out the elephant and giraffe at Make it and Love it. 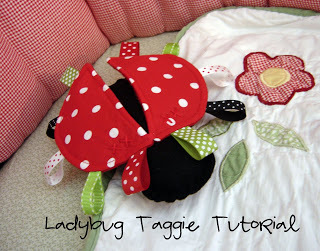 Or how about this supre sweet ladybug. I think the wings give it an extra tactile bonus that’s sure to delight. With a few changes it could be a bee too. 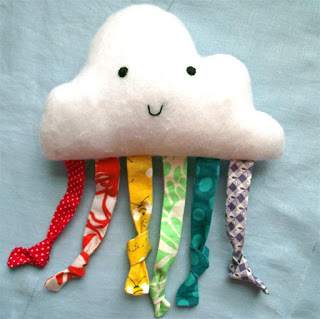 Though my favorite is probably this little cloud using fabric as knotted ribbon in place of loops. 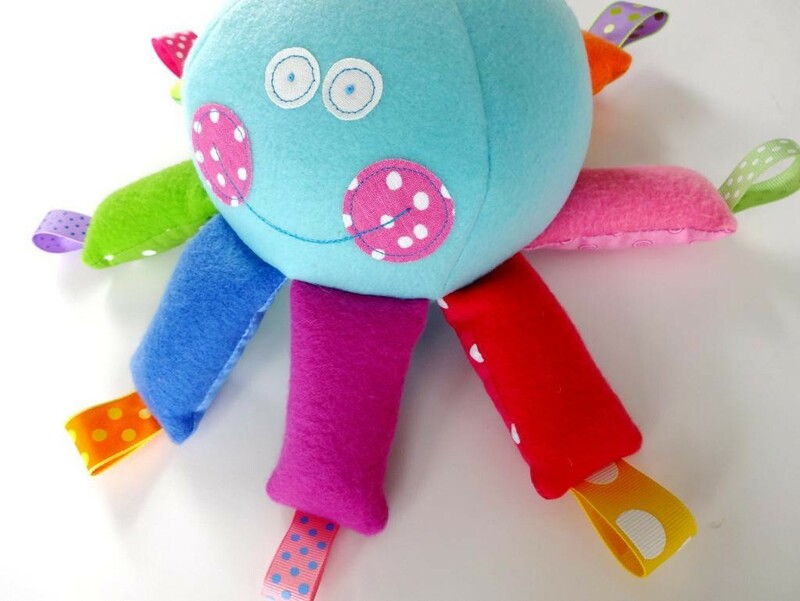 This collection of tag toy projects is recommended for personal use, be sure to research applicable patents and regulations on sewing for profit. 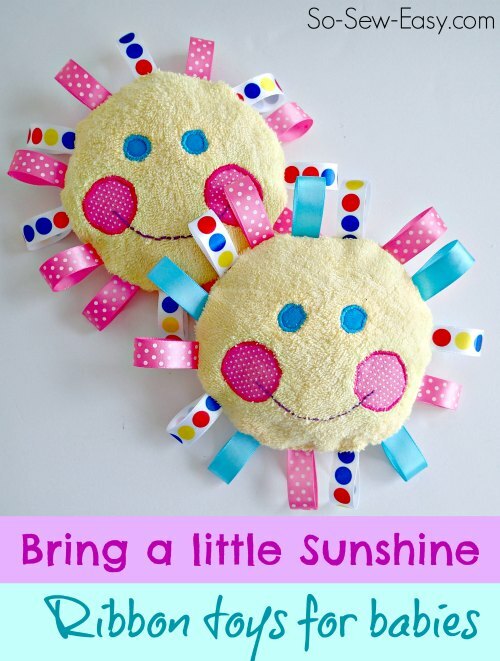 This entry was posted in baby, DIY, homemade, sewing, tutorial and tagged baby toys, List, patterns, sewing, taggies, tutorials. Bookmark the permalink.